In a bowl, mix miso, light soy sauce, mirin, sake, and sugar. Pour half of marinade mixture onto a plate, add barramundi fish head, and pour remaining marinade mixture on top. 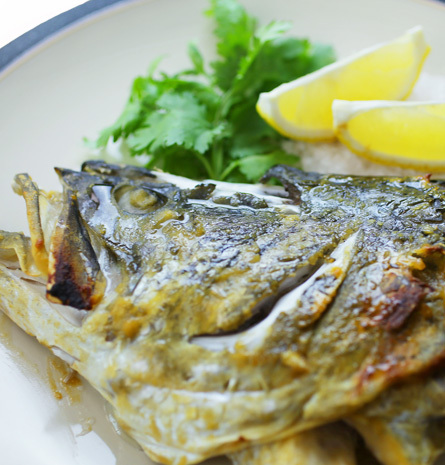 Let barramundi fish head marinate for an hour. 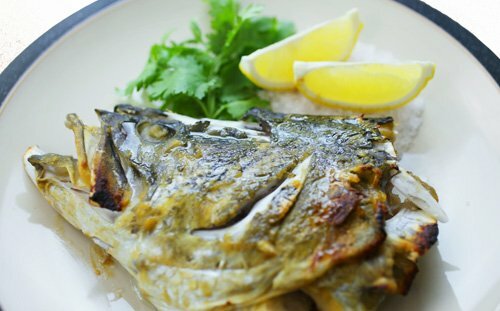 Transfer fish head to a roasting tray and grill in oven boiler at 180°C for 15 - 20 minutes.